Sometimes when you deliver grain to the elevator it’s shipped west and other times it’s shipped east. It may seem like it’s all completely random but there’s a science to it that grain, shipping and railway companies do every day. This was the focus of a panel discussion entitled “Why does grain flow this way?” at Grain World in Winnipeg, Man. on Nov. 14. Mostly it comes down to a combination of the initial grain location, shipment destination, shipment cost, port capacity and the time of year. “Even if you decide to move in one direction, let’s say it’s the best to move west. You may not be able to do so because of capacity constraints,” said Mark Dyck, director of logistics for G3 during the panel. When grain is first taken to an elevator the location of the elevator is the starting point for whether the grain will be shipped west to the ports of Vancouver and Prince Rupert or east to Thunder Bay and the St. Lawrence Seaway. Distance-wise the east and west are divided with an imaginary line that falls on the Saskatchewan side of Manitoba/Saskatchewan border. “In reality the line is subtlety different for each different grain company and it’s moving all of the time,” Dyck said. Port capacity also affects where grain is shipped, if a grain company has no space on the west coast but has space on the east coast, they may ship grain there instead. “The west coast is typically running at full capacity right from harvest until Feb-March. That will change a bit depending on the size of the crop. When this happens sales opportunities need to be prioritized and rationed…there’s also typically a lot of farmer selling pressure in the time frame,” Dyck said. Over the years grain flows have changed too. In the last 30 years there has been increased shipment down south into the United States and port capacity has increased in British Columbia which causing more grain to be shipped west. 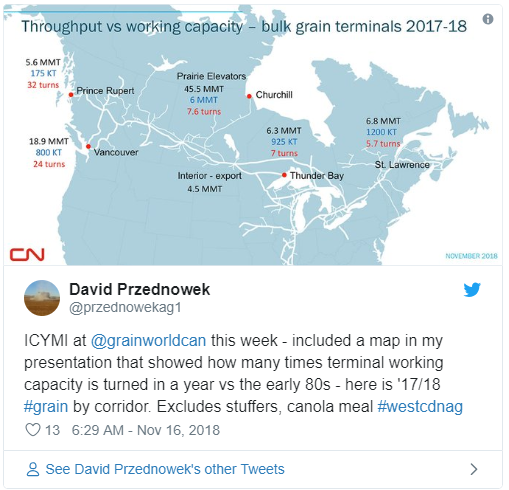 “In the early ’80s (there was the) former Soviet Union, eastern Europe, Europe, heavy demand in the Atlantic basin, the canola crop still hadn’t taken off in a big way in Western Canada. 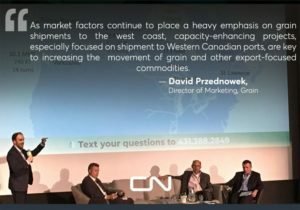 We still haven’t seen all those population growth in east Asia, south Asia, Middle East,” said David Przednowek, director of marketing – grain for CN, adding that these societal changes all have affected how grain is shipped now. The direction grain is shipped though can also depend on what time of year it is. The Port of Thunder Bay isn’t operational during the winter, so that reduces the amount of shipments that can be made out east. The final destination of the grain affects the shipment direction too. Just because grain is being shipped to Europe doesn’t automatically mean it will be shipped east, if it is ocean freight is cheaper from the west then it could go there instead. 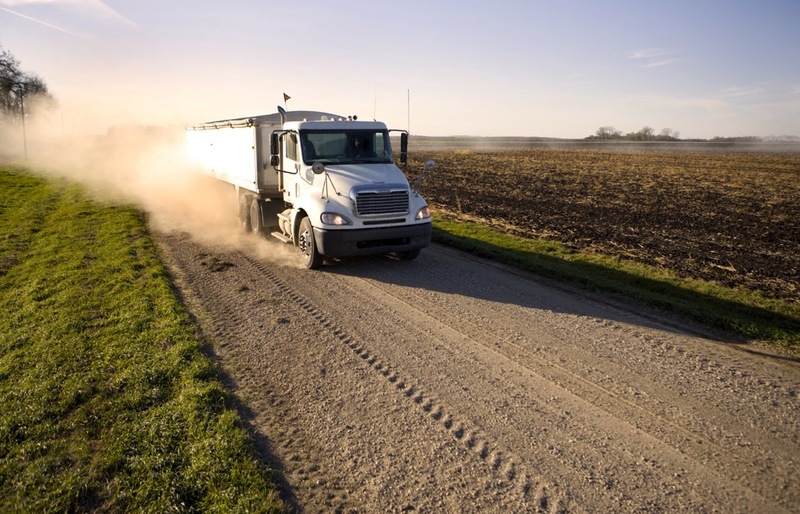 The global growing season can also affect Canadian grain shipments, freshly harvested supplies become available from other regions of the world at different times. “The rest of the world harvests their (wheat) crop in May, June. That coincides with a period where we see nine months of grain movement,” Przednowek said.